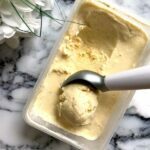 Easy Homemade Vanilla Ice Cream without an ice cream maker, a indulgent summer treat that is so easy to make from natural ingredients. The best dessert had to have the best flavour in the world. Back to ice cream!!! After my recent Homemade No-Churn Cherry Ice Cream Without Condensed Milk recipe, I completely fell in love with homemade no-churn ice cream that is made without condensed milk, and I find myself making some pretty often now. 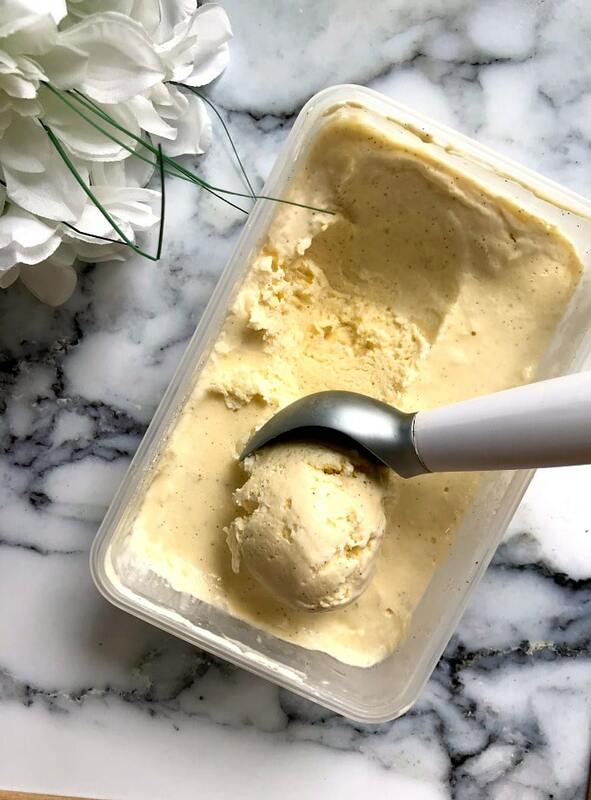 I have started experimenting with more flavours, but I realised that the vanilla ice cream is still one of my favourite, and it truly deserves to have a separate post. 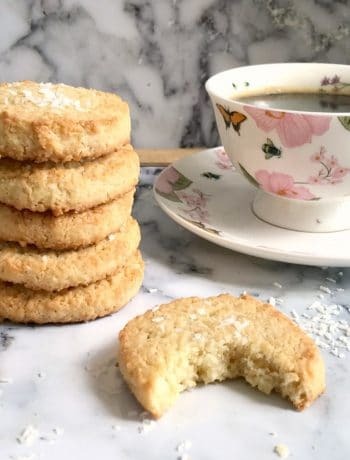 Once you make the basic recipe, which is vanilla flavoured, you can pretty much add any other flavour to it, and make it as rich and decadent as you wish. But, let’s be honest, vanilla can never be betean, and vanilla ice cream, as simple as it might sound, has the very best flavour. I absolutely love vanilla, in any dessert or drink, and I always have some vanilla extract and vanilla sugar in my pantry. 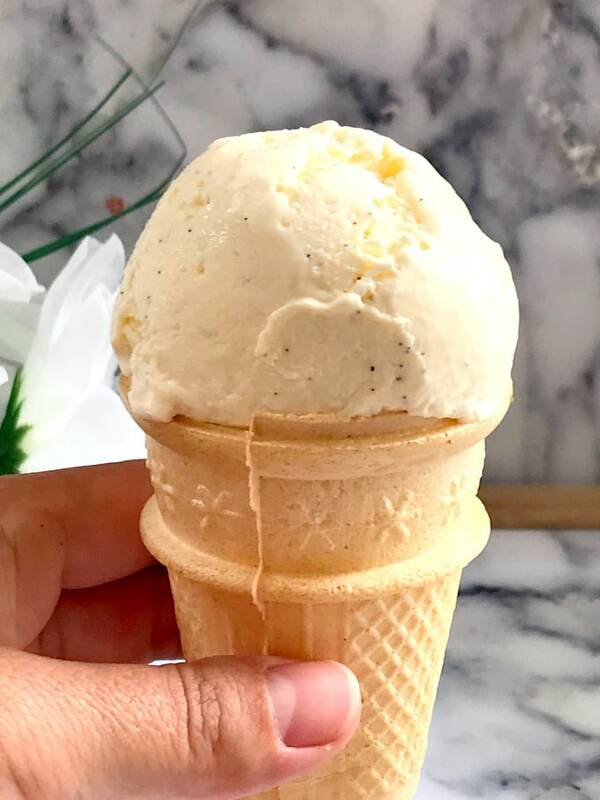 Now, if you want to take your homemade vanilla ice cream to the very next level, I strongly recommend using a vanilla pod, the flavour is so much more intense and you will notice the difference straight away. I know, it’s quite pricey, but I guess every now and again, a bit of spoiling can do no harm. Especially on a hot summer day. Have I ever mentioned that I love summer time? How do you make homemade vanilla ice cream without an ice cream maker? This homemade vanilla ice cream is made with milk, eggs and double or heavy cream, sugar, and vanilla. AND NOTHING ELSE, no sweeteners, no condensed milk, no artificial colourings, no nasty things. Not even an ice cream maker. There is nothing more disappointing when searching for ice cream recipes that reading that it required an ice cream maker. Well, what about us, people who do not own such a thing? And then I thought, well, maybe the old fashioned way should do. And I was so right. You can get creamy ice cream too. How do you avoid ice particles from forming? All you have to do it make sure that you stir the ice cream a few times before it freezes, in order to ensure there are no ice particles forming, and that’s it. Just leave it outside for a bit before scooping so it can soften a bit, then you can serve. By the way, it took me forever to be able to scoop ice cream properly, can you believe I even had to watch some videos about how to scoop ice cream? I am no master now, but I think I can do a much better job, so hooray to that! Ice cream anyone? If you’ve tried my EASY HOMEMADE VANILLA ICE CREAM or any other recipe on the blog then don’t forget to rate the recipe and let me know how you got on in the comments below, I love hearing from you! You can also FOLLOW ME on FACEBOOK, INSTAGRAM and PINTEREST to see more delicious food and what I’m getting up to. 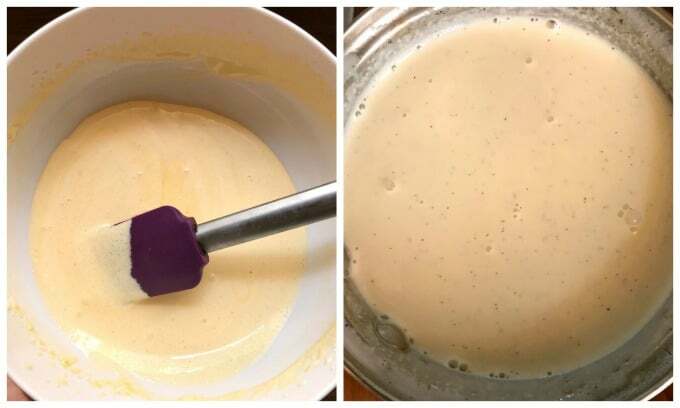 ,Separately, bring the milk, double cream, vanilla extract the seeds from the vanilla pod and the vanilla sugar to a boil, then pour the mixture over the eggs whisking continuously, in order to avoid the eggs from scrambling. Transfer to an ar-tight plastic container and freeze for at least 6 hours. You can stir the ice cream from time to time in order to ensure there are no ice particles forming, the ice cream will be creamy and easy to scoop.